I have started the design review to build a Filing Machine (Die Filer) at the request from Rob. We (YOU and me) will design this project for the Semi-Novelist Machinist on the Shapeoko (OR the Nomad) Maybe this can be first your metal project! So I am looking for YOUR input from fellow Shapeoko/Nomad users who might think about building this project. What it should do, how it should perform, materials, etc. Off the shelf parts where we can: Pulley, bushings in lieu of bearings, fasteners, Dowel Pins, Drill Rod, etc. 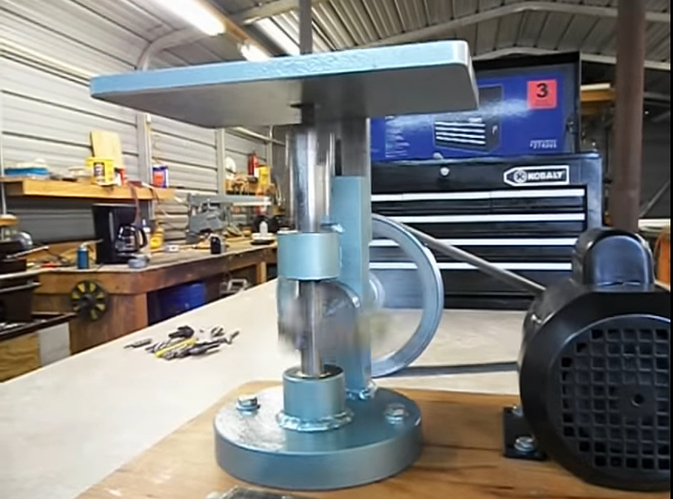 Power source: $15 variable speed electric Harbor Freight Drill. (you can use your own power source if you have a spare electric motor, but it needs to be variable speed). I have used this type of machine for many (many) years, and the filing speed needs to match your material AND file type. It will also be able to use low-cost standard 6” files (Round, Square, Triangle, and Flat,) as well as the expensive Die Files. I will produce 2D drawings and 3D models for free. Note: 1 I can also assist you with the purchase some of the larger pieces of RAW aluminum. Note 3: When I have finalized the design with your input, I will close this post and start another when the design is complete. Where I will list the files, BOM, etc. This photo is NOT MY DESIGN, but just something to get your design juices flowing.